Mumbai City FC's season went from bad to worse as they slumped to a 4-1 defeat away to Delhi Dynamos FC at the Jawaharlal Nehru Stadium on Friday night. The capital side were in ruthless form as they went 3-0 up with goals from Hans Mulder, Mads Junker and Gustavo dos Santos before substitute Abhishek Yadav grabbed a consolation for his side. 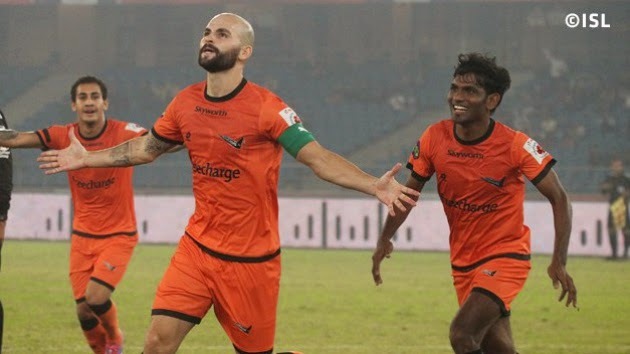 But substitute Manish Bhargav completed the rout with a stoppage time strike to help Delhi move up to fifth on the table and leave Mumbai languishing at the bottom.